Foltz Manufacturing & Supply Company offers a wide variety of machine products and industrial supplies. 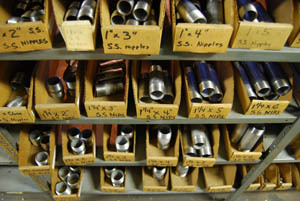 Foltz also offers custom milling, fabrication, and assorted metalworking services to fit your specific requirements. 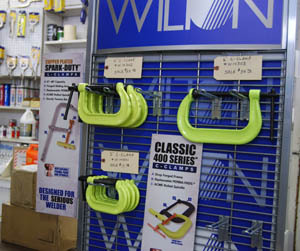 We also carry products from dozens of name-brand OEM equipment manufacturers. You Break It; We Can Make It or Mend It! The Foltz Manufacturing & Supply Co. was founded by Henry C. Foltz in 1877. The company is located on the corner of East Washington Street and Locust Street in downtown Hagerstown and is engaged in the business of selling pipe, steel, industrial and contractor supplies, and custom machine shop services. 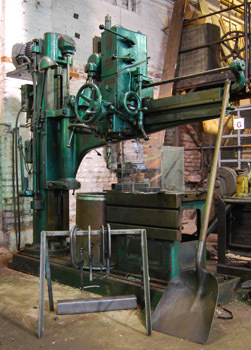 The company started as a small machine shop and continuously adapted to meet the needs of the community, expanding into the company that is today. Foltz can meet your fabrication and manufacturing needs, large and small. Send us an email or stop by our storefront at 63 East Washington Street, Hagerstown, MD to speak with us. 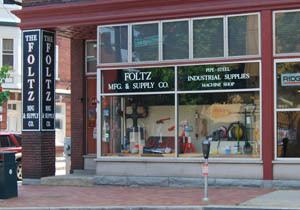 The Foltz Manufacturing & Supply Co. was founded by Henry C. Foltz in 1877. The company is located on the corner of East Washington Street and Locust Street in downtown Hagerstown and is engaged in the business of selling pipe, steel, industrial and contractor supplies, and custom machine shop services. 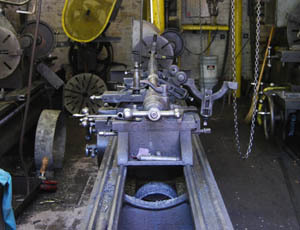 The company started as a small machine shop and adapted over time to meet the needs of the community. It expanded into the company that is today. We can provide your business the following:. We’re easy to find Monday–Friday from 7:30 a.m.–5:00 p.m.